Loose 3 meter long crocodile captured. What to do with it? Thread: Loose 3 meter long crocodile captured. What to do with it? Some time ago, there was a news about a loose crocodile in Phuket. A 3 meter long crocodile was sighted, swimming near the beach where number of tourists were present. The authorities managed to capture it in a hurry, but now the problem was what to do with the crocodile. Is it a wild crocodile? Should they release it into the wild? 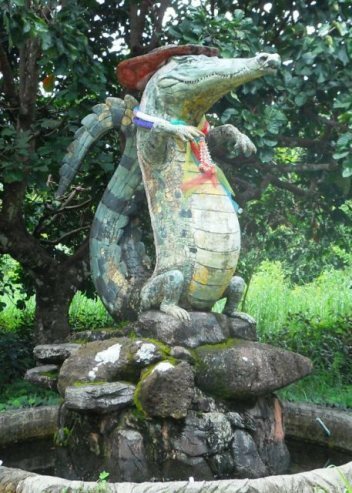 Or did it escape from one of the crocodile farm? Who let the croc out?? So the debate was on, as to decide what to do with the crocodile. And I thought about what we could do with the crocodile. Skin it and eat it ! Is it a wild crocodile? . Check it's neck for a collar. If you can't find one, do what Obes said. Last edited by Bacon; 19th September 2017 at 21:10. That's easy enough... obes said it best. 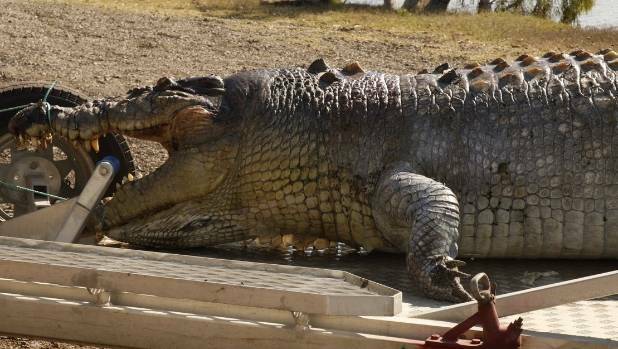 A massive 5.2-metre saltwater crocodile has been found shot dead in central Queensland, which locals describe as the largest-ever carcass pulled from the river in the area. The male reptile was found in the Fitzroy River at Etna Creek, about 20 kilometres north of Rockhampton, just after 1pm on Thursday with the bullet still in its head. People for the Ethical Treatment of Animals (PETA) Australia has offered up to $5000 as a reward for information leading to the identification and conviction of the person or people responsible. Wow, that's a big one. It must have taken a few years to get to that size. I doubt they'll ever find the killers, but if they do, I'd make them eat it. Every last piece of it. Maybe the guy who shot it has BIG feet, really big feet, but had no way to pull it onto shore. In the old days the croc hunters went out with spot lights at night and shoot between the eyes. I remember seeing photos of crocs over 20 feet long. This croc had eaten someone and they found the remains in its stomach. Last edited by Ian Forbes; 22nd September 2017 at 16:58. Rockitt and GGrass like this. ^^ Hey thats a great photograph. What a beauty! Quarky, Rockitt, Ian Forbes and 1 others like this. With my swollen broken foot, I was thinking I could just cut off one back leg, hollow it out, cut off the toes and I would have good boot that fits. Maybe even leave the toes on just to freak out people. 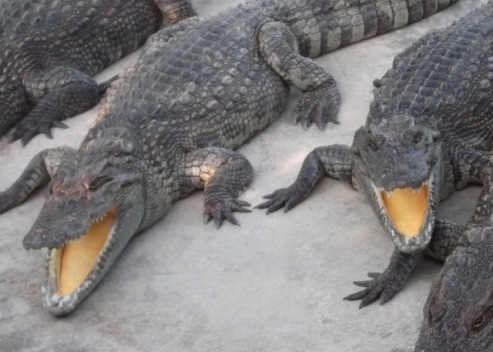 Two crocodiles have been found in a small lake area in Bang Krajee, Mueang Chanthaburi. 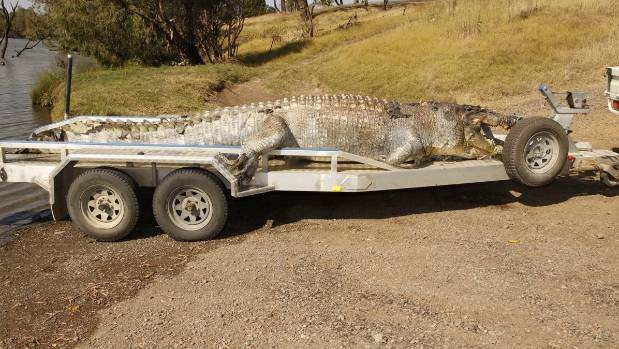 One (1.7m, 30kg) was caught using a whole chicken as bait, however the second crocodile remains in the pond. Fishing and swimming have been banned until the second crocodile is captured. The crocodiles are presumed to have escaped from a crocodile farm during flooding. They'd be screwed if it's a pregnant female. Why? the babies are cute little buggers. Not so much when they grow up. 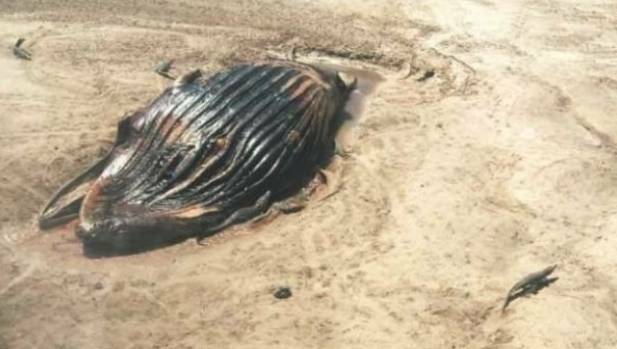 Helicopter pilot John French was flying along the remote Montgomery Reef in Western Australia's Kimberley region when he spotted something very large and very dark on a wide patch of sand exposed by a low tide. After taking the chopper in for a closer look, he saw the big lump was a dead whale that had become beached and a single saltwater crocodile approaching the carcass ready for an enormous meal. Crook returned with French in the chopper the next day to have another look, this time with a tour group on board, and the scene made for incredible viewing. "We had paying passengers from a cruise ship and they had a look at something truly amazing," Crook said. "When we got there we counted nine crocodiles, quite big at around three metres probably, and they were just tiny compared to this whale, which was maybe a medium-sized humpback, not a juvenile but a bit older." As they circled their Squirrel AS-350 around the carcass, at least 14 crocodiles arrived to feast on the dead whale, with some even spotted emerging from the carcass' belly. Photos taken by French show 3.5-metre crocodiles looking like tiny lizards next to the massive whale. "The smell was incredible, even in the chopper, so the crocodiles will be coming from miles around," Crook said. Quarky, Ian Forbes and GGrass like this. Great story, Hatari. Thanks for posting. Dead critters don't last long in nature. We get the occasional dead whale wash up on our west coast beaches, but we don't have crocs to clean up the carcass. It's mostly bears or rodents and birds. The ones that wash up close to civilization get towed out to sea and disposed of after samples are taken to determine the cause. All times are GMT +10. The time now is 15:42.